Work of art made with great interest in the technique oil on canvas. 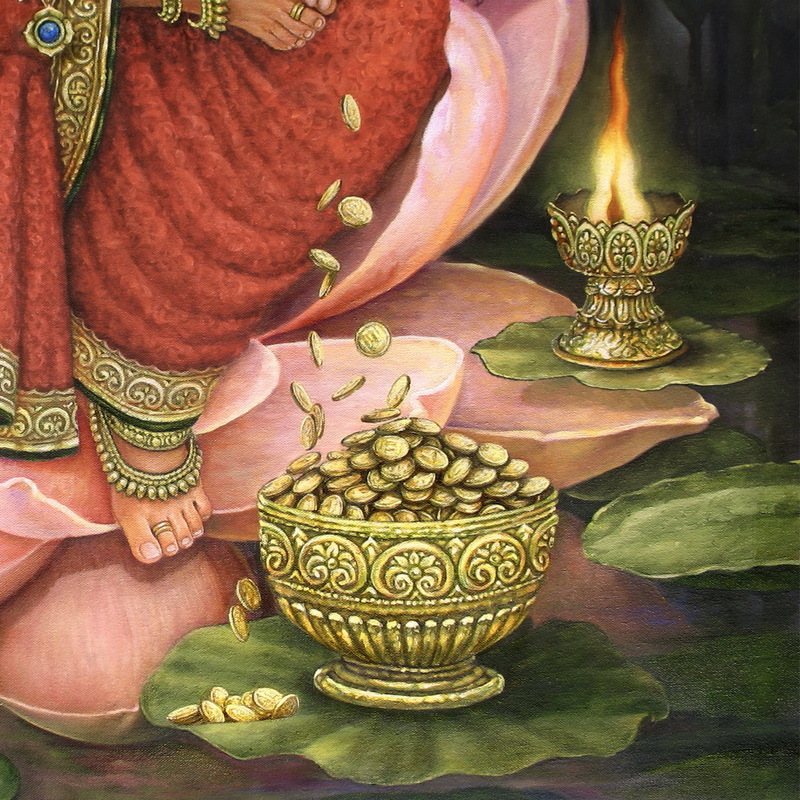 Many details in the embroidery and gold. 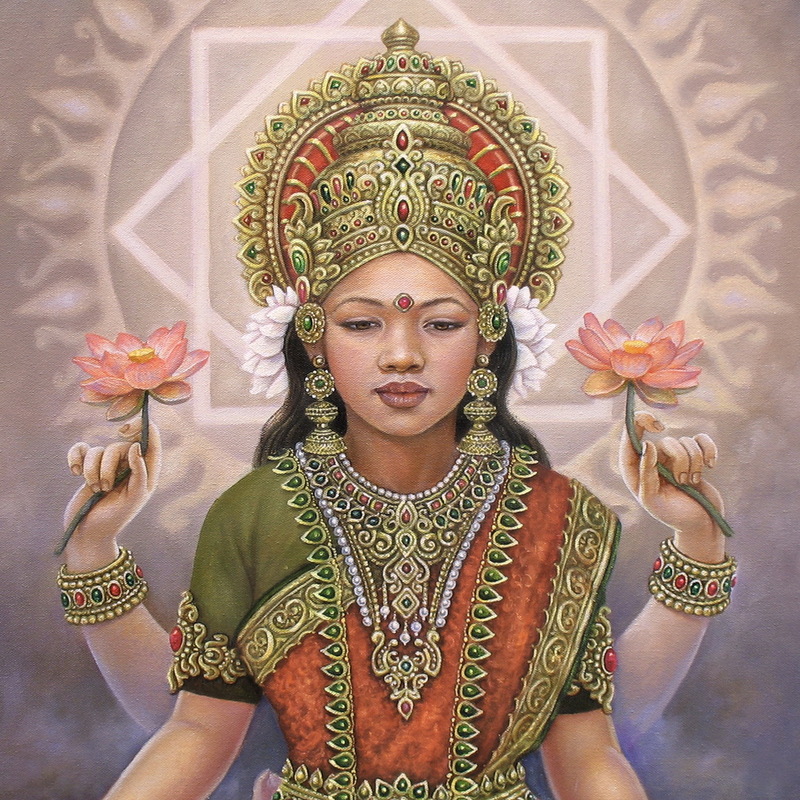 The word "Lakshmi" is derived from the Sanskrit word Lakshme, which means goal. " 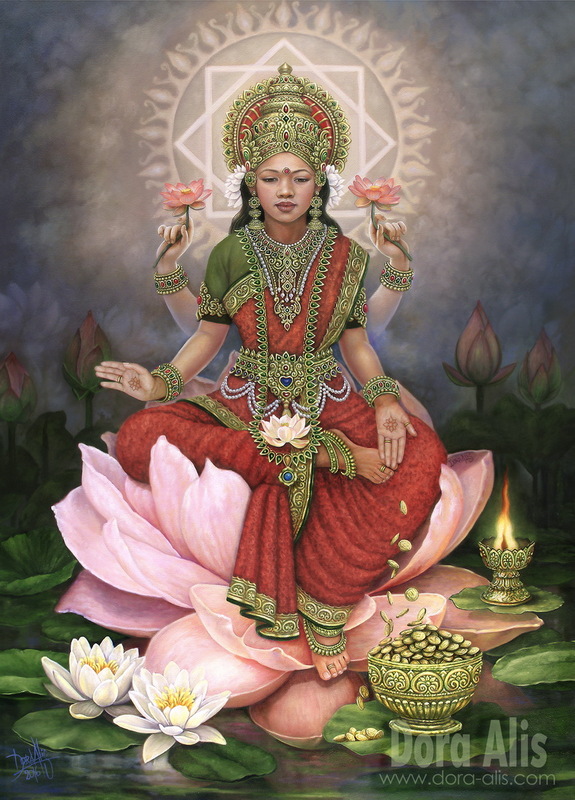 Lakshmi, therefore, represents the goal of life, including material and spiritual prosperity. 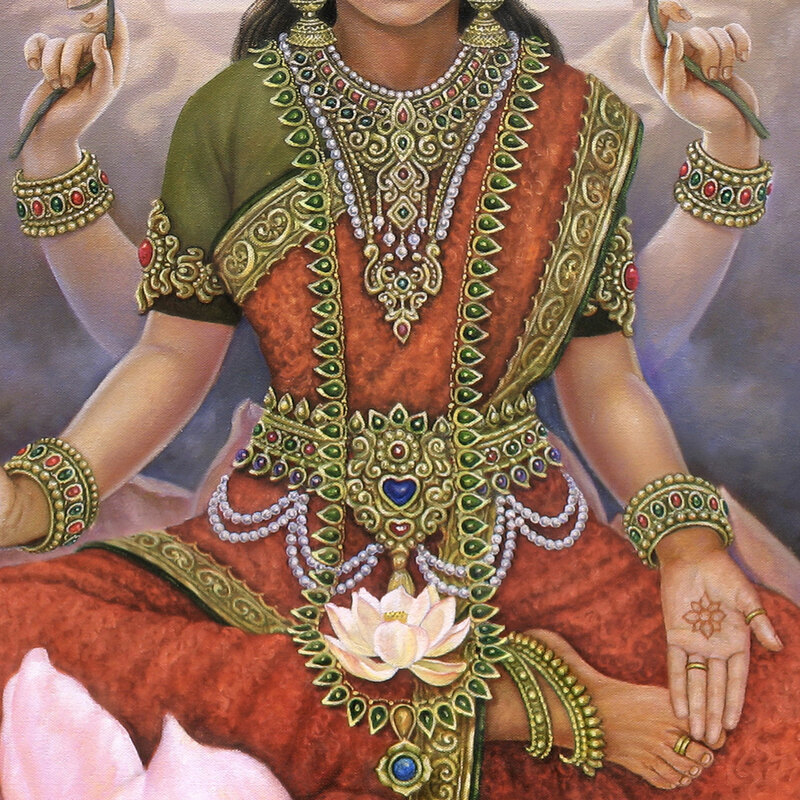 In Hindu mythology, the goddess Lakshmi, also called Shri, is the divine wife of Lord Vishnu and provides wealth for maintenance and preservation.